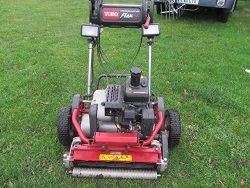 ETC Grass Machinery have a wide range of high quality new & used pedestrian mowers, professional mowers and commercial mowers- ideal for plots of land where ride on mowers would be too large. 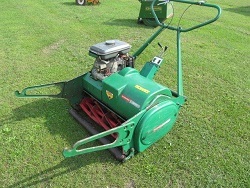 These machines make for a great addition to any grass machinery and turf care machinery you already may have. 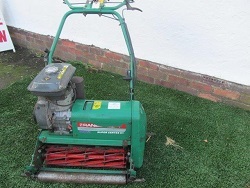 The staff at ETC Grass Machinery have years experience in supplying grass machinery and will be happy to help you in deciding which pedestrian mower or second hand professional mower will be best. If you can’t find the pedestrian mowers or second hand professional mowers you’re looking for Contact Us today and our staff will be happy to help you.